Dispatch recordings from last month’s Pacific Gas and Electric substation explosion and fire show a 25-minute delay in PG&E’s reporting of the incident and another lengthy delay when the utility had no supervisor at the scene to let fire crews into the locked building. NBC Bay Area’s Investigative Unit obtained the recordings of radio communications and dispatch logs of the April 21 incident under the state Public Records Act. 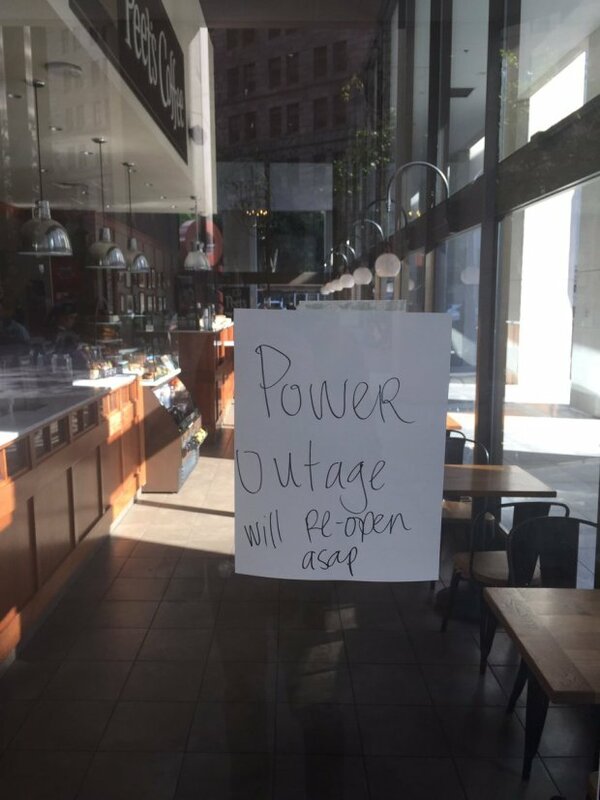 Although the explosion at the Larkin Street substation in the city’s Tenderloin occurred about 9 a.m., triggering a power outage to 88,000 utility customers, the dispatch records show the first recorded call as coming in at 9:26 a.m. It was not from the utility directly, but from the fire prevention arm the San Francisco Fire Department. The prevention bureau officer recounted what someone from PG&E had told her to the city’s emergency communications center. “We got a call from PG&E -- there’s a box over there at 600 Larkin….they say alarms are going off and they have smoke showing from their panels,” the prevention official reported to communications. Five minutes later, the first crew from San Francisco Fire Engine No. 3 arrived at the scene. San Francisco Supervisor Aaron Peskin says he still cannot believe what happened that morning. But for the next 25 minutes, crews waited for a supervisor as the fire continued to burn inside the building. “We’ve got a guy back here with keys, so whenever you’re ready we can make entry” one firefighter reported to a commander. The dispatch log of the incident includes a line that more than an hour after the incident began, PG&E’s designated liaison was “en route” from the Peninsula. Meanwhile, crews were becoming more frustrated as they continued to wait. “We have a guy says he’s filling in for the sup…they want to make entry right now,” one firefighter tells commanders. It was 9:53 a.m. more than 20 minutes after crews first arrived, when one of the firefighters tells commanders he’s found a way to get in through the rear of the building. He suggests the fire could be put out easily. But the wait continues until a firefighter posted on the roof warns that smoke is getting blacker – evidence that the fire is getting worse. It is 9:54 a.m., nearly an hour after the explosion, that one of the crews reports having gone inside. But putting out the fire is harder than crews anticipated. But it takes another 30 minutes to get that truck to the scene, with its stock of 40 tanks of fire-smothering carbon dioxide. By then, the fire had largely burned itself out and it only took four of the cylinders on the still smoldering circuitry. Peskin says the recordings are evidence that not much has changed at PG&E since the utility’s bungled response to the September 2010 San Bruno gas explosion that killed eight people and leveled 38 homes. “What we’ve found is frankly quite troubling,” said Peskin about PG&E’s handling of the fire. The National Transportation Safety Board’s probe into the San Bruno blast cited both PG&E’s failure to report the fire to authorities as well as a 40-minute delay in shutting off the gas. In the end, eight people were killed and 38 homes were destroyed. Last year, PG&E was found guilty of federal pipeline safety violations and a single count of obstructing the NTSB probe. It had already agreed to pay $1.6 billion in fines and other state regulatory penalties for its handling of the incident and other safety violations. Peskin told us he believes PG&E also bungled its Larkin Street response. “The fact that, in the wake of San Bruno, PG&E still doesn’t have basic safety protocols in place, demands an investigation,” he said. 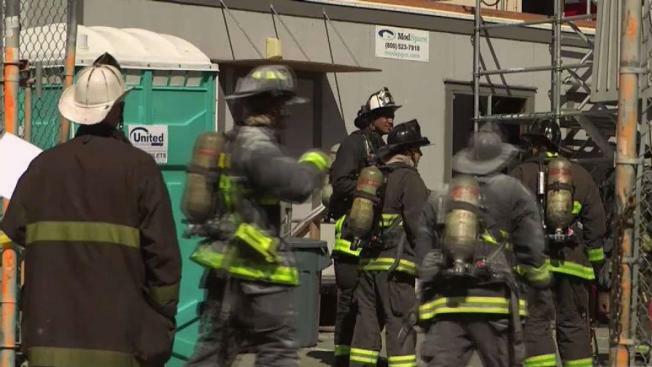 In a statement, the utility told NBC Bay Area that its first crews arrived at 9:25 a.m. Recordings show that was before anyone with the company had alerted city authorities. The company’s statement did not address questions about any reporting delay or the fact that crews were made to wait for a company supervisor.